thank you to all that supported our first Youth Food Conference! Thank you to all contributors of the Youth food Conference 2017! The Chocolate Project will be donating 2 workshops!!! Kettel and Hive will be donating a gift to a speaker! Citron Tea is a unique concentration made from lemons and honey, just add a spoonful to a cup of hot water to enjoy a soothing drink. Level Ground Trading is donating aromatic, heirloom rice for our Sunday lunch and dried mango for snacks throughout the event! LifeCycles Projet Society is donating a workshop! LifeCycles cultivates community health by connecting people with the food they eat and the land it comes from. We support people in gaining the knowledge, skills and resources needed to access, grow and preserve local food in ways that foster biodiversity and enhance our urban environment. Silk Road Tea is donating a 2h workshop! Wind Whipped Farm will be donating fresh produce for our Sunday lunch! Wind Whipped Farm is a market garden and orchard in Metchosin. We started in 2008 and sold in 2009 at our road stand, through a local box program and, by bicycle, at the Metchosin Farmers’ market. The Whole Beast is donating a tour, and meat for our Sunday lunch! We are an artisan cured meat producer based in Victoria, BC, Canada. When we opened, our aim was to address a need in the community for high quality hand crafted cured meats using traditional techniques and ethically raised heritage breed animals. With the growing awareness and demand for products from this segment of the food industry, we felt that Victoria was ready to embrace a business that specializes in nose to tail inspired meat products. The Rootcellar is donating a $100 gift card plus discounts on ingredients for our house cooked meals!! The Uptown Discovery Coffee location is co-hosting a workshop with Whole Foods! We hand select our green beans from farmers all over the world and roast them in-house, at their freshest. By roasting in small batches and pairing beans to specific brew methods, we introduce our customers to new coffees and unique brews every day. We are always finding ways to push the boundaries on what good coffee can offer, progressively educating our staff, and in turn, our customers. We are excited to be an integral part of growing an already flourishing coffee scene in Victoria, BC. Whole Foods is co-hosting a workshop with Discovery coffee! Check out more about what Whole foods is providing here! Ollie Quinn has a free space for two of our workshops! We are recognizing the Victoria location for providing this free community work space in Market Square! Madrona Farm will be donating 2 workshops!!! Madrona farm is an organic 'urban' farm run by Nathalie Chambers and family! Pacific Rim College is donating 2 workshops! Cold Comfort is donating a $25 gift certificate to one of our speakers! Circle Canning is donating 3 jars of amazing preserves to our speakers! The Market on Yates is contributing $50 to our groceries for our house made meals! 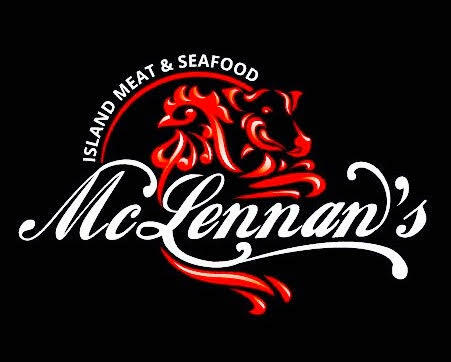 McLennan's will be donating 12 chickens raised in Cowichan for our Sunday lunch! Tree Island Gourmet Yogurt will be donating the yogurt to accompany singing bowl granola for a breakfast on the Sunday! The CRD is letting us use one of their rooms for 2 workshops! Accio is an amazing food delivery service in Victoria! They are donating their services to help us drop off Saturday lunches! Hannah Roessler will be accompanying Seliliya/ Belinda Claxton as a guest speaker! She is donating her time to this! The Food Share Network will be donating 5 boxes of rescued food for our Sunday lunch and Friday Dinner! The Food Share Network contributes to the enhanced health of people and our local communities here in the Capital Region. No one should go without access to fresh, local, organic food. We want to improve the efficiency and safety for people accessing non-profit food services. Our goal is to strengthen community links and access to resources that support self-sufficiency.